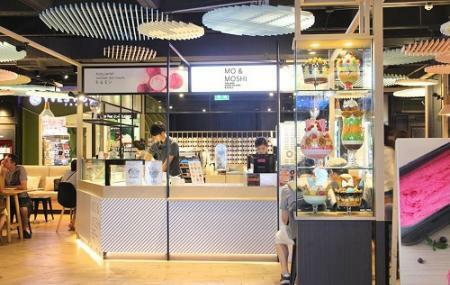 Mo and Moshi is an ice cream cafe in Bangkok that is inspired by modern Japanese style and taste. This ice cream parlour serves ice creams, soft serves and frozen yogurts that are created by using fresh, homemade ingredients. The deserts are served very artistically and with fruit and nut toppings. The café has a very young and chic feel to it. Some of the must try deserts at Mo & Moshi are Ice Cream burgers, Pancake Panache, Waffle Supreme, Parfait Celebration, Soft Serve and Fruity Flourish among many others. Try the 22 scoops parfait with whipped cream. How popular is Mo And Moshi? People normally club together Roast Coffee and 22 Sukhumvit Rd, Khwaeng Khlong Toei while planning their visit to Mo And Moshi. The shop is closed. Website not taken down. Traveled all the way only to find it is closed. large ice creams. but not as tasty tbh. Morden and cute interior. Ice cream taste is so so. Closed. Moved to Siam Center !